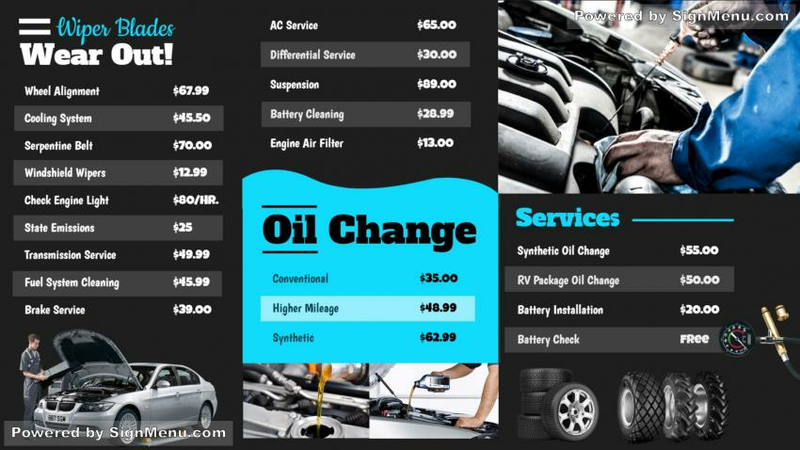 This car service center signage template appears online for the business persons to use. Available to download for free the template has a polished black image on which the services have been clearly put. The various images of car parts are scattered all over along with the prices and services written properly. In fact, download it and edit it for free.